A wheel is composed of the inner spokes, the rim that connects the spokes and the outside tire. Wheels are connected by an axle so they can work in pairs to allow your vehicle to move. The tread on the tires protects the inner portion of the rim and helps the wheel grip the road to increase safety and efficiency. Without wheels, your car would not be able to function. This is why keeping on top of tire rotation service and other maintenance is so important. To learn more about wheels and how they work, contact Meineke #1859 in Apopka, FL. You know that you need your tires in good working order to drive your vehicle. So, perhaps a better question than why your tires are important is why you should maintain them before you're forced into frantically searching for "flat tire repair near me." The average car weighs over 4,000 pounds, which is a lot of weight sitting on your tires. Differences in inflation between tires causes your vehicle's weight to be distributed unevenly. Over time, that uneven weight distribution can lead to issues with your vehicle's balance, which then affects its safety and performance. Thus, following a routine rotation service is vital. You'll find such a service here at Meineke #1859 in Apopka, FL. Proper inspections of your tires should happen at least once a month. If you often drive in rough terrain or other dangerous conditions, you should inspect your tires and wheels twice a month or more. This is because tires can become worn down or damaged very easily in certain conditions. Sharp rocks or other debris can weaken tires and lead to premature blowouts and necessitate the need for a repair or replacement. Bring your vehicle to Meineke #1859 in Apopka, FL for an inspection and tire repair cost estimate. This will help you avoid having to search for "flat tire repair near me." A flat tire leaves you stranded, pure and simple. Yet there are other reasons why you should ask yourself "Is there a good option for tire repair near me?" long before you ever get a flat. Avoiding routine tire rotations won't necessarily keep your vehicle from driving (up until excessive wear causes a flat, that is), yet it does limit their performance lifetime. Given the significant financial investment your tires represent, wouldn't you want to get the most out of them? 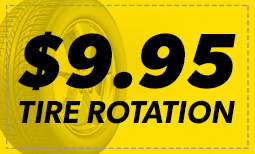 Contact us at Meineke #1859 in Apopka, FL to learn how a low tire rotation can save you hundreds of dollars in the long run. If the tire pressure sensor light illuminates on your vehicle's dashboard, should that be an automatic sign that your tires need to be replaced? Not necessarily. Depending upon the current condition of your tires, a simple repair may be all that needs to extend their life and save you money. How are you to know? Finding out for yourself literally only takes a penny. Insert a penny into the tread of your tires, with President Lincoln's head facing downward. If any part of his head is hidden by the tread, your tires can still be used. If the dashboard light continues to go off, you may want to consider a tire pressure sensor replacement. 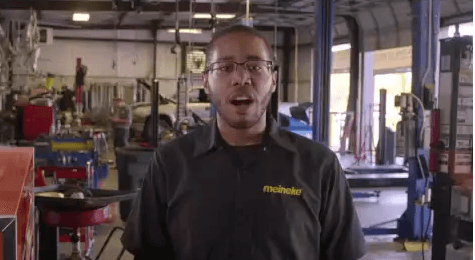 Any tire-related questions you may have can be answered by our friendly staff at Meineke #1859 in Apopka, FL. If you're in need of new tires, you probably have concerns about the actual cost of tire replacement. While worn tires increase your risk of performance and stability issues on the road, that doesn't make affording new tires any easier. Fortunately, we at Meineke in Apopka, FL can. Once you have your new tires, be sure to make frequent visit to our Meineke #1859 web page. We frequently post repair and tire rotation coupons there. This is our way of rewarding the trust you place in us.